Did you know that cultural holidays account for 37% of global tourism? That’s more than a fair share of people who want to experience the culture of a country, region or a city they chose to spend their vacation in. Indeed, cultural tourism has been defined as “the movement of persons to cultural attractions away from their normal place of residence, with the intention to gather new information and experiences to satisfy their cultural needs”, and every traveller can agree that there’s something utterly exciting about getting to know the history of another fellow man, get acquainted with their art, architecture, religion. Moreover, by taking cultural holidays, not only do you gather even more knowledge about the world we live in and its wonders, but you also help develop its communities, which is why this form of tourism has been growing in popularity – and economically – over the past couple of decades, looking into its own bright future. If there’s any city that can testify to that, it’s definitely Berlin, with its rich and immense heritage and a beautifully dynamic artistic scene. Monuments, historic landmarks, galleries, museums, cathedrals, parks, squares – basically every city has them, but Berlin takes them all to a whole new level. Vibrant, cosmopolitan and very welcoming, the German capital is a place of a unique spirit that has caught up with modern times in the most spectacular of ways, turning out to be one of the most stimulative and creative hubs in Europe and the world. Ever since the fall of its infamous wall in 1990 which had finally brought its two broken sides back together, Berlin has been growing and evolving, building a remarkably versatile character along the way and becoming a metropolis suitable for pretty much anyone and everyone. Once the heart of the turbulent events of the 20th century, it is now one of the most important centers, not just for culture, but the economy and politics as well. Spread out on five rivers, Berlin counts roughly 3.4 million citizens today and a handful of things to see, be at, taste and enjoy. 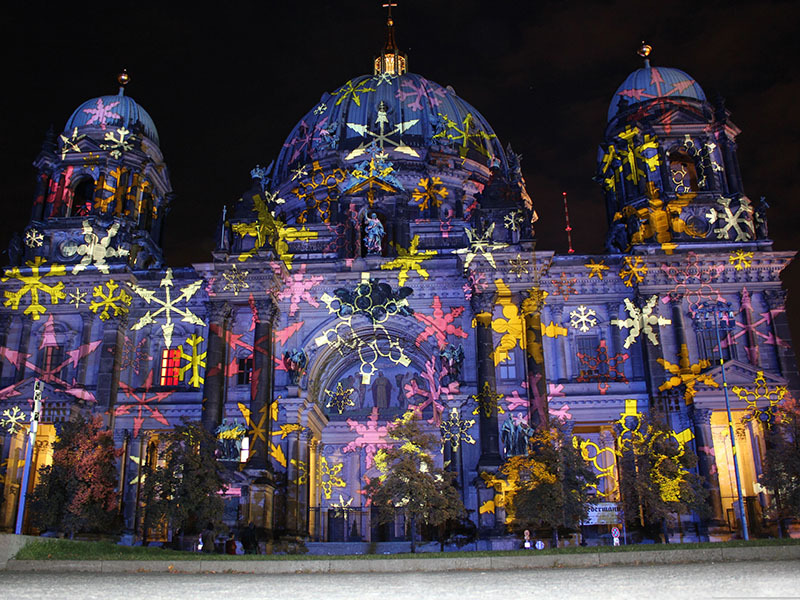 Cultural Holidays in Berlin – What to See? Perhaps, before we get on to what to see, we shall wonder – when to see Berlin? The truth is that, as it often happens, it is never a bad time to visit it, because there is always something going on. However, many Berliners will agree that winter is probably not the best time, as it can get quite harsh and cold, especially for those who aren’t really used to (sometimes way) below-zero temperatures. And so, the preferred time would be during warmer months, say between April and September. That way you can fully enjoy the wonderful greenery of the enormous Tiergarten park, the vastness of Temperlhofer Feld, the former airport, or the urban gardens of Mörchenpark and Mauerpark. The period of your choice can also determine which of the many festivals and events Berlin is hosting all year long you will get to see. In May, there will be the Karneval der Kulturen, a four-day urban festival celebrating the city’s diversity, while you can catch the Fête de la Musique in June, with live musical performances taking place on the streets. Through the end of August, the visitors can check out Project Space Festival Berlin and attend a free 24-hour event at some of the 30 participating venues. If you’re into theatre and performances, be sure to visit Kulturspreepark, the abandoned amusement park which re-opened after 14 years, until September 20! Of course, if you end up going in October, put on some warmer clothes and go out to see the 10th annual Festival of Lights, which will have historic buildings illuminated in neon for a spectacular autumn show. What are cultural holidays without those breathtaking monuments though? It seems that Berlin has them on every corner, starting with the historic Brandenburg Gate, the trademark of the city and a symbol you see everywhere you turn. It was the last gate of the wall surrounding the granting Berlin until 1860. Once a symbol of war, it now stands as a beacon of peace and unity. 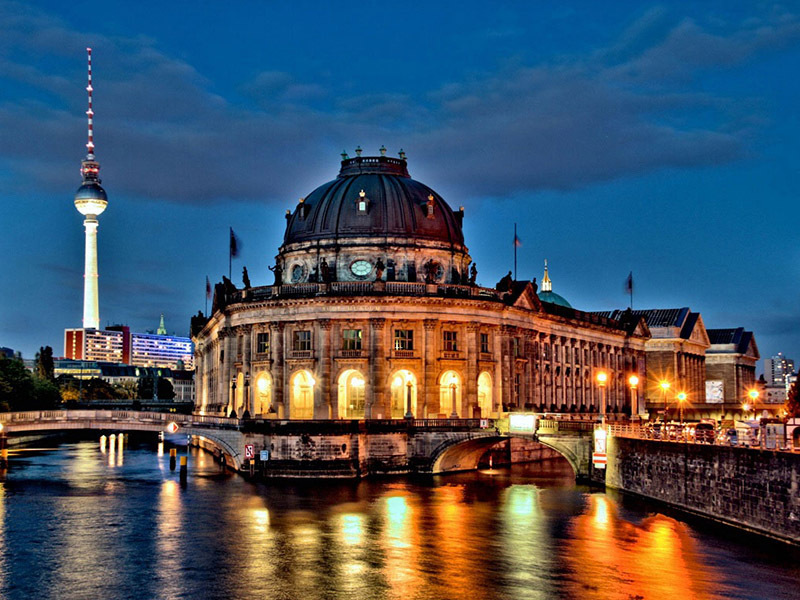 Germany can also boast with having the most visited parliament in the world, the Reichstag, the country’s major attraction with an incredible interior that takes you a little by surprise. 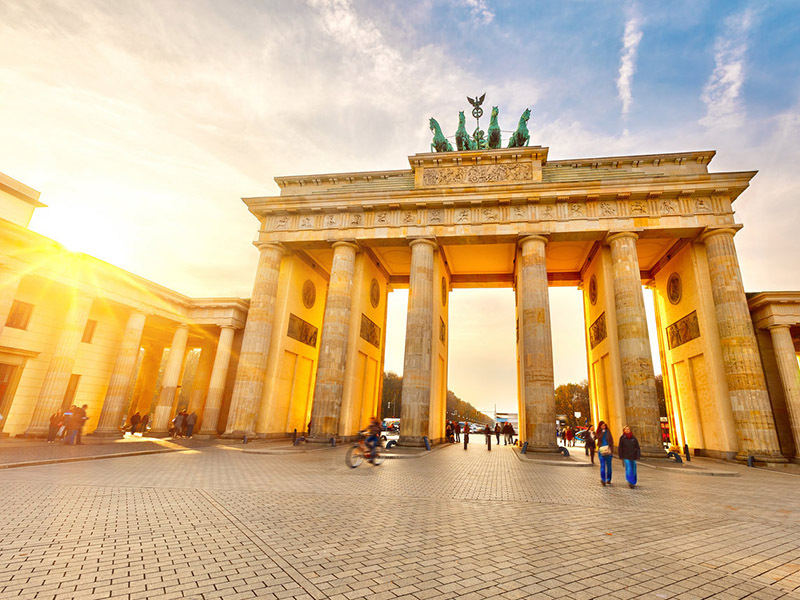 Once you’ve walked across the large squares of Bebelplatz and Gendarmenmarkt with its two splendid cathedrals, you can head to the Mitte district, the very heart of Berlin, and its Alexanderplatz, where you will find another signature monument – The Fernsehturm Tower. During your walk, you will notice the traces of the old Berlin wall on the pavement, freely crossing the “border” between East and West Berlin, until you run into the symbol of the Cold War – Checkpoint Charlie. But Berlin certainly isn’t all about history – au contraire! Let’s not forget that the German capital represents the true Mecca of graffiti and street art, which has turned the city into a giant canvas for world-class artists and has helped push Germany’s own talent to the top of today’s urban art scene as well. And if that’s not enough, there’s an entire network of museums and galleries for every taste – from Neues Museum, the Bauhaus Archives and the Museum Berggruen to the Museum Island and, really soon, Berlin’s own Street Art Museum, to name only a few. Because Berlin is so versatile and full of surprises, its visitors can easily find exactly what they’re looking for, but they also might dive into some unknown waters and have their money’s worth in no time just the same. 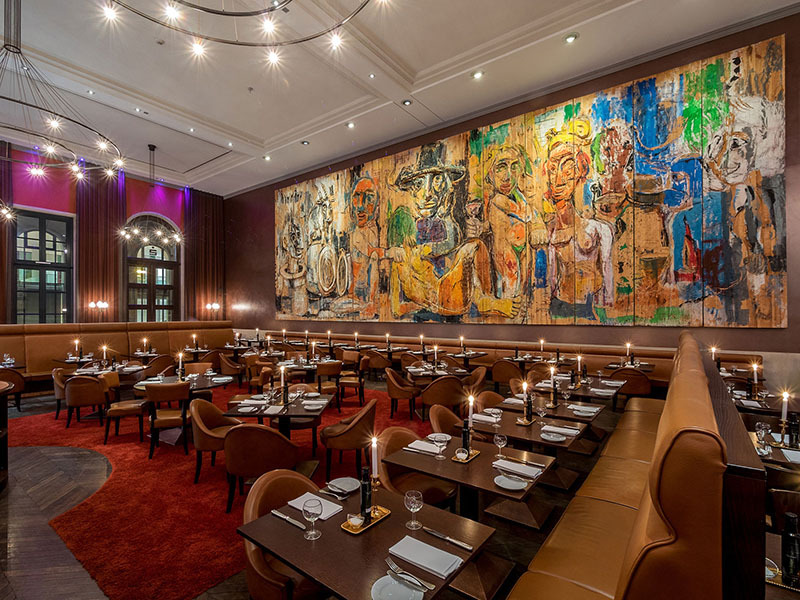 Let’s think of the hip hotels in the Kreuzberg or Mitte neighbourhoods we wrote about just recently here at Berlin Street Art, or the very best restaurants you can find in the centre. And just what about those amazing art hotels? The city certainly does not lack a place to feel at home away from home, ready to fit every need and budget. From Mitte’s highly recommended i31 Hotel, The Circus Hotel, Indigo and Novotel to Ibis in Potsdamer Platz and Schöneberg, NH in Friedrichshain, to Mandala and Q! in Charlottenburg, the guests are bound to be pampered with excellent service during their stay. Across the town’s marvellous neighbourhoods of Prenzlauer Berg, Friedrichshain, Kreuzberg, Neukölln and Schöneberg, one can come across a variety of particular and interesting clubs, bars and restaurants, guaranteeing an unforgettable experience. A little taste for every palate from almost every cuisine in the world, all in a single, welcoming metropolis – and if you’re a vegetarian, you’ve probably found your little heaven on earth. Serving some Italian there’s the central Ristorante A Mano, while Hackethals and Marjellchen, for instance, are known as the reference points for authentic German food. Make sure to visit Tim Raue for some quality Asian fusion, too. Fan of street food? Burgermeister and Berlin Burger International seem to be the burger hotspots, while Mustafa’s is a must if you love a good kebab. Because chocolate is always a good reason, we recommend Rausch Schokoladenhaus, and because cake is an art form of its own, go to Princess Cheesecake. Don’t forget to have a great time!